Rupture of abdominal aneurysms associated with median arcuate ligament syndrome (MALS) is a serious condition and requires accurate diagnosis in a clinical setting. We examined three patients with this condition: two women aged 45 and 71 years, and a 61-year-old man. They complained of abdominal pain and had fluid collection around the duodenum. Plain computed tomography (CT) of the fluid collection revealed hyper density, which suggests the presence of blood. Moreover, contrast-enhanced CT revealed aneurysms in the pancreatic head area. Angiography revealed aneurysms of the branches of the gastroepiploic artery, which were treated by endovascular embolization in all patients. 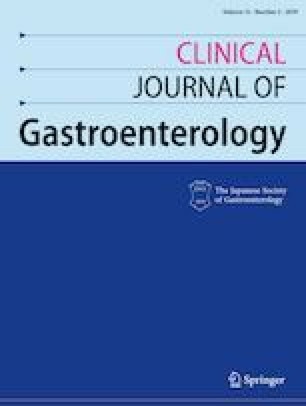 Thus, patients with abdominal pain and high-density fluid collection around the duodenum on plain CT may suffer from hemorrhage following rupture of MALS-associated aneurysms.